Without question, the creature that many ancient seafarers feared the most was the Kraken. Considered by many to be a mythical beast, the Kraken certainly struck fear in the hearts and minds of countless seafarers in the ancient world and even up until the 18th century among sailors in the Caribbean. 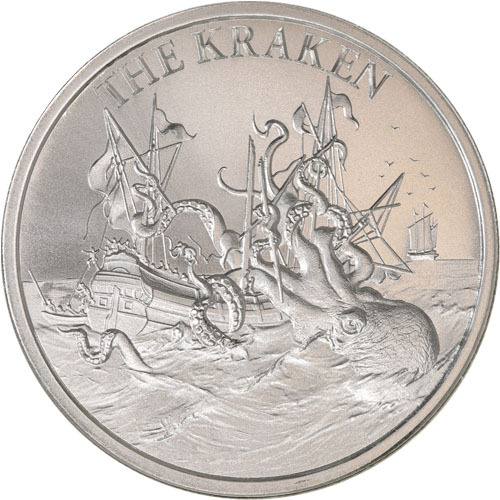 Today, youll find this beast roaming the obverse of the 1 oz Intaglio Mint The Kraken Silver Round available to you from JM Bullion.